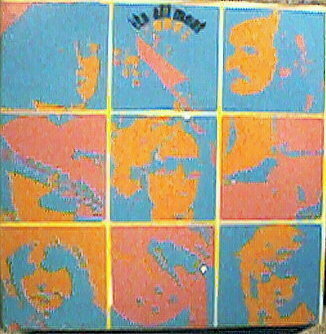 It’s All Meat came from Toronto, Ontario and released a superb, but little known album on the Columbia label in 1970. The band consisted of RICK ASTON (bass), JED MacKAY (organ, piano), RICK McKIM (drums), WAYNE ROWORTH (guitar) and NORM WHITE (guitar). MacKay and McKim both previously played together with Toronto’s Underworld, whose lone single, “Go Away”, released in 1968, is considered one of Canada’s most sought after garage bands songs. The music of Its All Meat at most times sounds like the Doors (Crying Into A Deep Lake, Self-Confessed Lover) while at other times the band is a dead ringer for the Rolling Stones (Make Some Use Of Your Friends). This reissue, the second CD release on the Hallucinations label, features the entire It’s All Meat album along with six bonus unreleased tracks and demos recorded by the band between 1969-1971. It also features the band’s first non LP single, the garage punk rocker “Feel It” released in 1970. This package of 15 songs is an excellent example of early 70’s keyboard dominated psychedelia, garage punk, and haunting keyboard sounds. The CD packaging reproduces the original album graphics but the only draw back to the set is that unfortunately it is missing an essay or some sort of biography on the band. The sound has been digitally remastered and for the most part it appears to have been taken from a vinyl source as there is an occasional vinyl static in places. Overall the sound quality is fairly good. Considering the rarity of the original It’s All Meatalbum this release is welcomed by any fan of the early 70’s garage and psychedelic sounds.